I became a mother in the summer of 2005. My first 9 days were pure bliss (albeit tired bliss). My beloved husband, J, had just flown in, around 8pm. I hadn’t seen him for 2 months. I’d waited for him to arrive in the car that night like a child waits for Christmas…or better yet like I did the first time I met him! I was ready to bounce off the walls with excitement! I couldn’t wait for him to see my belly – to feel this wild little boy kick in my tummy. Our boy was due in just 3 weeks! We had a wonderful evening…banners, cake, dinner…all the good stuff…and we had each other…and, miracle or miracles, this sweet little boy INSIDE of me. Endometriosis made us wonder, would we be able to have children? Now, almost 1 year after being wed, here we were! So back to the story…family reunion and then…right around midnight I realized that I was in the early stages of labor. So I did what pregnant women do with a baby en route. I cleaned house, got the baby’s room ready, ate half a watermelon, and threw up. but in the end…there was my precious beautiful baby boy!!! I called him a little puppy dog when I first saw him with those beautiful little pouty lips! We breathed a sigh of relief that all was well and we had a healthy baby boy. Could there be greater happiness?! J had the week off, so we just spent the week settling in, eating and sleeping when we could. We took a ridiculous number of pictures, as if every little expression needed documentation. AND Daddy was back home. When we took this picture, we had no idea that in a few hours our lives, and especially B’s were about to be turned UPSIDE down. This was taken on the morning on his 9th day, just one day after the pediatrician had assured us that he was doing great. B had passed his birth weight, was a champion eater and had all the signs of being healthy, but things were starting to go very wrong. So, Rewind. When we were leaving the hospital the doctor ordered a blood test for bilirubin…something that we weren’t familiar with. The nurse explained this was related to jaundice (common in 60% or so of babies, causing yellowing of the skin). The doctor came back and told us that his bilirubin level was a 15 and that we should feed him often to help get the bilirubin out of his system and feed him by a window. What he and the nurse didn’t tell us is that, for a normal 37 week old baby: this amount of bilirubin is high enough to warrant keeping them in the hospital and putting them under bilirubin lights. At the very least follow-up blood tests were needed, but we weren’t told. Another thing we didn’t find out until too late was that there are numerous risk factors that can make jaundice/hyperbilirubinemia more dangerous and among those are bruising. Our little boy had a very large bruise on his head from that hour of pushing, or maybe when they broke my water. Who knows. Being born early, and being breast fed*, as well as being a boy are also added risk factors. We took our boy to the doctor’s office twice that week, calling attention to his yellow skin, eyes, and huge bruise. He dismissed every concern in his friendly manner and said that we were doing great. He told us our boy was feeding well, had passed his birth weight and we shouldn’t worry about it. As a first time mother, I knew I was capable of being overly cautious. So I pushed back my fear, and trusted the doc. As new parents, we listened. Late in the afternoon of B’s 9th day, he wouldn’t wake from his nap. When he finally did, he ate a little and then began projectile vomiting. A short period of time that seemed like seconds and a lifetime all at once. We scurried to call the emergency line for our doc. When B opened his eyes I was terrified to notice that in addition to being chicken-soup-yellow, his eyes were rolled down, so that I could only see the top half of his irises. He let out a horrific scream, while he threw his arms out to his sides. He was seeming more lifeless by the minute, and we had no idea what was going on! Rushed phone calls to our doctor’s emergency line. They weren’t very worried, but we were terrified…and intuition didn’t lie in this case!). scrambling, grabbing the diaper bag, car-seat in the car, sitting in the backseat, J driving, frantic and striving for calm, calling parents, tears, more vomiting (how was there ANYTHING left in that little tummy??!! WHAT WAS SO WRONG? HOW!? running in the ER. We hurried up to WAIT. We were coded low priority. His temp was 96 degrees and life was ebbing out of him! We were forced to wait a very long time, while a child with a cut on his finger was rushed past. When they finally did get us back, they talked to us for what seemed like an eternity about needing to admit him based on his color and do a lumbar puncture. This was all the while he had not had fluids for hours and seemed to be less and less present. We’d only been parents a little more than a week, but we were quite capable of feeling the agony that comes in feeling frantic and helpless about your child’s welfare, all at once. After much delay they finally drew his blood to determine that his bilirubin level was 45.6 (an unheard of level at the nearby prominent university hospitals). The docs were rushing back and forth from the phones to B. After a while we were informed that neither or the University hospitals (2 hours away) would airlift him because the procedure needed to be done IMMEDIATELY. Of course, nothing really happens immediately. The procedure was a Double Exchange (where a patients total volume of blood in their body is replaced twice over). For an adult this would require something like 24 units of blood. For our little guy it was not so much, but lining up the blood and getting everything together somehow took a couple hours. He had begun posturing (which, I now know, can be an external sign of permanent brain damage). They attempted a chest x-ray and no amount of force could straighten his little neck. It was as if his neck were fused in a head-tilted-back position. In the midst of the scurrying, a nurse thought to check his oxygen saturation levels, only to find that he was in the 60′s (considered RESPIRATORY FAILURE). They then intubated B. Then up to the pediatric ICU, where he stayed for 10 days. I stared at his carseat. They’d told me that to pump milk, I needed to think about my baby. Oh!!! – that brand-new seat. I looked as a I cried. I cried hard tears – tears that gripped my throat like a strong man’s hands. I wondered…would I ever hold him again? Would my baby ever be able to make it out of this place in that seat??!!! Several hours from when we brought him in, they began his double exchange. The tubes ran up the distance from each side of his groin into his heart. Central lines. They used these to pull out with one syringe and push the new blood in with another using 2 60cc syringes. (Normally this is done with a machine, but those were only at the university hospitals – too far away and needed too soon.) This saved his life, and put a stop to the damage. ..but DAMAGE…what damage had been done? What had just happened?! The picket fences fell down. Various doctors came in and told us that about a condition called Kernicterus (kern, german for seed and icterus Greek for yellow, as the brain is literally stained yellow) that affects the basal ganglia in the same spot as Parkinson’s Disease. They spoke of things like – Never. Holding. a. Pencil. Feeding difficulties…we couldn’t even imagine the words that would follow: feeding. tube. and feeding. pump. – the majority of them didn’t try to hide what had just happened….we had a name. There is much in it. Many people spend a lifetime looking for a name. We went through all of the stages of grief, and we brought a boy home from the hospital that could no longer even nurse. Our avid little eater would now cry out in hunger as he struggled to eat and the milk just ran down the side of his face. Flinging his arms out as if he were falling. No more than 2 hours sleep at a time…for. a. year. Four years before he could sleep through the night without medication (given by us) at regular intervals. roused him 17 times per hour, according to a sleep study at 2 years old. We went a LOT…we had to 11 specialists that were 2 hours away and 4 therapists and 3 doctors 20 minutes away. We had no nursing help. Work took my husband away for 4 months in the first year. B also had 2 surgeries in that first year that made his life more difficult (2 Nissens, a g-tube (stomach feeding tube). The second surgery involved a j-tube (intestinal feeding tube), and repair of a massive hiatal hernia). At about 10 months old he began to have enough vestibular stability to be able to ride in a stroller for short intervals and at about 14 months he began to be able to sit in a bouncer or lay on the floor without screaming bloody murder….and best of all…the car seat began to be tolerable. Since then, B has had a Cochlear Implant and we’ve been able to get rid of the j-tube. We’ve also been blessed to have 2 more children! We NEVER could have imagined this in the first years of sleepless nights and what seemed like endless hospital admissions! Our hearts soar to see our 3 children as friends…to see our girls seeing B for exactly who he is. Wheelchairs and cochlear implants and feeding tubes aren’t weird to them. We’ve laughed to see them grab a syringe and try to put it in their belly button! B tries very hard and is able to take steps around our house in his gait trainer (a walker that supports every part of his body), he also is trying VERY hard to speak and is finally able to hear well most days with the cochlear implant. We are working to communicate through various methods, including eye gaze with the ECO2 (a sophisticated computer that uses technology like the xbox kinect to track his eye movement and allow him to make selections with his eyes). On our end, as parents, we certainly have our highs and lows. Often, we feel a bit like shut-in’s although we are in our early 30’s. Life is more complicated in every way. I wanted to deny that my little boy would really be affected by all of that toxic bilirubin (at lower levels it actually functions as an antioxidant…interestingly). I hoped against hope that he would pull through it unscathed, but that couldn’t last long. I then hoped that we could fix it with hyperbaric oxygen therapy or something equally miraculous. Then I begrudgingly began to accept that God could and would will this Kernicterus to have forever altered my son…that sometimes he actually willed for people to suffer. WHY ME? WHY US? Why not one of the horrible parents out there? Although I had these thoughts initially and do struggle with them still at times, I don’t believe I’m entitled to that answer. Why does Almighty God owe me any answer? More and more, in the midst of trials, I discover the goodness of God. The lens widens. I see the sweetness of His provision and the tender love that He pours forth to His children, the ones that know they need Him. How much have I loved to fool myself into thinking that I only need a quick prayer, short reading at night and an hour or so on Sunday, that raising/caring my children and loving my husband are dependent upon my best efforts. God has made it all brutally clear to me that our children, spouses, and loved ones health is completely in His hands…and if at any point he decides to take them or allow them to come to harm, it can happen despite our best efforts. We are to do our best and do all things to His glory…but really we have no right to take pride in our children’s health or good behavior…he can change it all in a flash. In our case he did, through the hands of doctors and nurses that didn’t follow protocol to do things like chart the bruise, inform us of the risk factors and dangers, recommend bilirubin lights or perform a simple and inexpensive blood test. In believing that God is an all-powerful and sovereign God, I have to believe that he allowed even this to occur. I am so thankful that in the midst of the storm he is always with us though. I’ve learned and am learning to depend upon Him. My illusions of self-sufficiency are shown for the ridiculous notions that they are. Relying on Jesus’ strength is so much more comfortable than my weakness. Not that I don’t stray away from that all. the. time. What better place to be than in the hands of Almighty God! 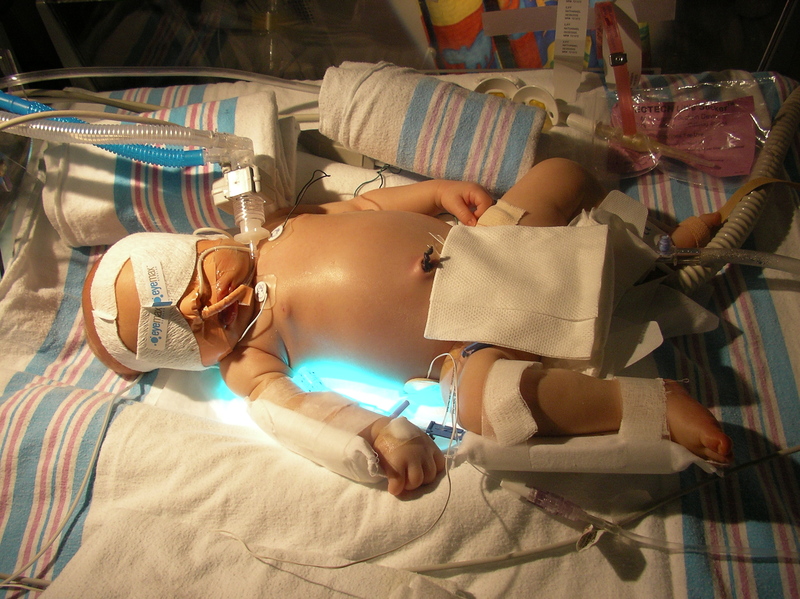 A word about Jaundice: look at my Kernicterus page. I can’t even pretend to imagine the pains and joys of your day to day. Thank you for sharing your story and thank you for trusting a God who does understand suffering better than we ever will. That trust is the only possible sourse of hope. Thanks so much! That is so true! “So great is His unfailing love!” …it sustains, no matter what the storm! I love your blog! Beautiful! Just read this scripture this morning and was so encouraged. http://www.biblegateway.com/passage/?search=Lamentations+3%3A19-33&version=NIV It’s also beautiful in the CJB, Jewish version. I love the use of “Adonai! Wow. Your story still breaks my heart, but it’s awesome to see how God has/is shaping you through all of this. Thank you for sharing. What s testimony God has blessed you with. Keep sharing it with others, so in times of trials others who you encounter will learn they too can trust in our Lord and savior. Ah! Thank you for your kind words, friend! It amazes me how God works every day! Your words lift me up and your prayers mean so much! And you are so right…he did pick me out for this! I’m so weak and weary…but he uses this pain and this journey to show me all the time just how ABLE He is. He uses my inadequacies to grow my faith, and I am SO grateful for that…and that he sent you this way, that we might encourage one another today! Praise be to Him! you said this so eloquently…I often have thought….if horrible parents had these kids would they get the same kind of love and affection and care that WE give them?? Likely not. I have hesitated to post that though in the past as it just doesn’t seem adequate for a parent that is the darkness of despair at the moment because I could not have said it as eloquently as you just did. Good Job. Oh, sweet sister. May the Lord bless you and keep you. You write beautifully, and your story and your faith are an encouragement to me. Your beautiful family is a such a picture of God’s plans being so much better than our own. I used to think that God gave special kids to special mommies. Now that I’m a “special” mommy, I know that God uses special kids to make special mommies. God is glorified. Your son is beautiful. You are blessed. Miriam what a wrenching story…oh my I had no idea…made contact with your mother this a.m. from a post she sent me awhile back that I never saw. What rich insights you have because of this beautiful child you all were so sovereignly chosen to parent. Hopefully we can connect soon in person soon. I remember how special you were as a young woman & think how blessed your son is to have you & your whole family in his corner.. Jeanne!!!! So excited to hear from you!!!!! I was just telling my mother in law about how God provided just the right people at just the right times for me to grow…and you are one of those people! I can’t wait to catch up and I’ll be emailing you soon (we have guests this weekend.) Love you, friend!!!! I’m so glad that you commented on my blog so that I could have the privilege of meeting such a wonderful woman–you are a faith warrior! I wept as I read your story and ALL that you have been through, but to see the strength of your faith is a tremendous blessing and encouragement to me. I loved the Scripture you shared as well. This was beautiful: “More and more, in the midst of trials, I discover the goodness of God. The lens widens. I see the sweetness of His provision and the tender love that He pours forth to His children, the ones that know they need Him” . You are a living testimony to this. I’m blessed by your story and feel honored to read what you’ve shared from your heart so openly and honestly. Looking forward to keeping in touch with you in following along your blog. Rachel! You got me right back! I cried reading your comment! 🙂 it’s so powerful to see him at work connecting us all! …and using the mess that I am. Hugs right back at ya!!!! Thank you for sharing your story. Unfortunately, it is a common one mothers have been increasingly facing. Jaundice affects some 60% of newborns. 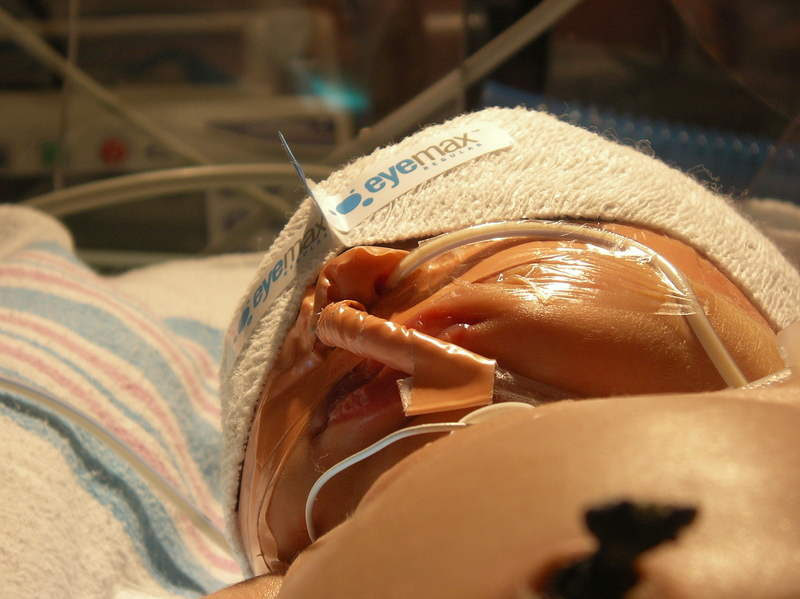 Although it is entirely treatable, it often is allowed to harm the baby. In some cases, brain damage can occur. 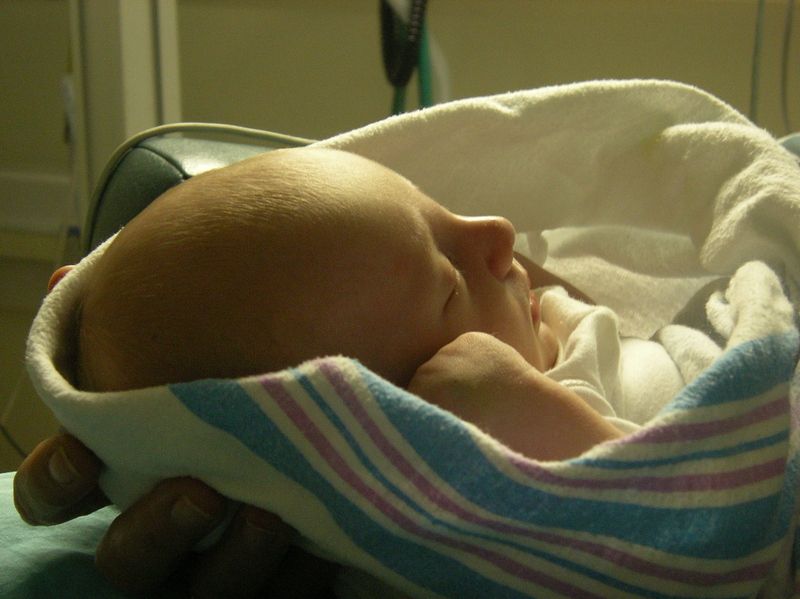 We just wrote a blog about preventing and diagnosing jaundice early. I whole heartedly agree, Rob! I was very grateful to see that same article by Giles Manley on the Cerebral Palsy Family Network’s facebook page yesterday! Educating families, standard screening, widespread use of the nomogram, reporting of Kernicterus…all very important items on PICK’s agenda. We just had a great board meeting and are excited to see what we can accomplish in 2013! This HAS to end. PICK’s agenda is to #stopKI (KI – kernicterus). Miriam, I have just finished reading your story. I already knew some of it but I am overwhelmed with emotions after hearing it from you. I want to copy it, if I can instruct the computer properly, and share with my prayer group who prayed for B when I was coming to see him. I will also share with my daughter. Blessings on you and the entire family. Share away Barbara!! It was so wonderful to see you!! You are such a blessing to us!!! I have no words. This breaks my heart so much. Wow. (hugs) to you. Thanks April! I love hugs! Can’t wait to meet you!